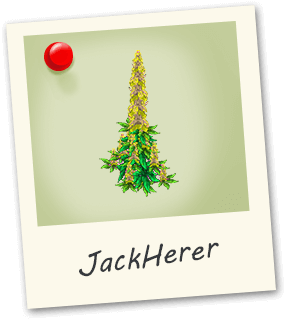 Jack Herer is an impressive sativa strain combining a Haze, NorthernLights and ShivaSkunk. There is a whole line of Jack strains but this is the original! A sativa growth structure with a large Cola and spicy flavour.